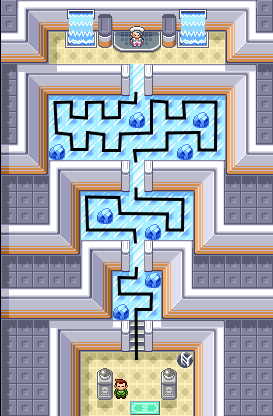 If you tread on the same ice square twice, you will fall through the floor and have to fight some of the trainers in the basement below. The route below shows you how to avoid that. Thanks to Swampert for helping with this.